New York, NY (June 2, 2013) - Before a poor, overworked young woman can win back custody of her little boy, she must make amends for a tragic mistake in the uncompromising, critically hailed drama The Girl . From the producers of Maria Full of Grace and written and directed by David Riker (La Ciudad), the deeply moving film, starring award-winning actress Abbie Cornish, comes to DVD on July 2, 2013, from Virgil Films. The disc has an SRP of $19.99. For two years Ashley Colton (Abbie Cornish, Bright Star, Candy, Sucker Punch), a rough, ragged beauty in her mid-20s, has walked a tightrope, trying to prove to Social Services that she is fit to be a mother and regain custody of her son. She works at a dead-end job in south Texas, frustrated that a lack of money is preventing her from raising her own little boy. A surprise visit from her father (Will Patton, Remember the Titans, Armageddon), a hard-drinking trucker living in Mexico, brings Ashley back into a turbulent and unresolved relationship. When she discovers that her father is smuggling Mexican immigrants across the border in his 18-wheeler, Ashley sees an opportunity to make some life-changing money doing the same thing. Without fully knowing how to make it work, she arranges to transport a group of people across the Rio Grande. But her improvised plan quickly goes awry, and Ashley finds herself stranded with a young Mexican girl, Rosa (Maritza Santiago Hernandez), whose mother disappeared in the late-night river crossing. Though anxious to flee the tragedy and head home, Ashley can't bring herself to abandon little Rosa. So she embarks on a trip to bring the girl home to her grandmother - a journey that may in the end save Ashley as surely as it does the girl. 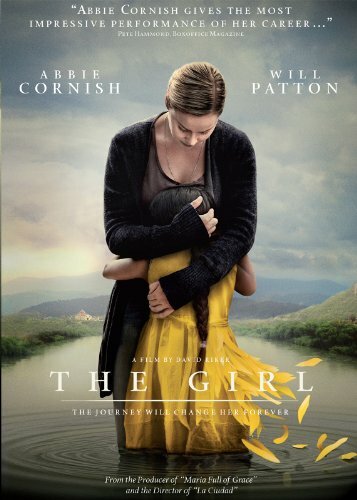 Released theatrically in key markets across the country, The Girl received glowing praise. The New York Times' Manohla Dargis said it "evokes the films of Jean-Pierre and Luc Dardenne. " Wrote the New York Daily News' Joe Neumaier, "Writer-director David Riker's film is tough going, but worth it." "Cornish embodies Ashley's self-centered character with nuance and subtlety," said Chris Packham in The Village Voice. Slant magazine's Elise Nakhnikian praised Cornish for "conveying her character's intense and mostly repressed emotions through small but seismic shifts in expression and posture." And the New York Observer's Rex Reed said, "THE GIRL enlightens with an unusual insight into the courage, durability and struggle of the Mexican people while taking the viewer on a guided tour of a piece of the country tourists never see."